Capnography is a useful method of accurately assessing and modifying breathing behaviours. It collects information about breathing rate, breathing patterns and the carbon dioxide level in the breath. Knowing the carbon dioxide level gives valuable information about whether or not a person is over-breathing, and insights into what might be causing symptoms and health problems. Capnography is particularly useful for those who suffer with anxiety related breathing problems or panic disorder. By using capnography as a biofeedback trainer, you will quickly learn what precipitates your breathing related symptoms, and how hypocapnia (low carbon dioxide) is related to your feelings of anxiety and panic. You will learn how to normalise your breathing while using capnography in real time, and you will gain powerful insights into how to normalise your breathing before an anxiety or panic attack takes over. 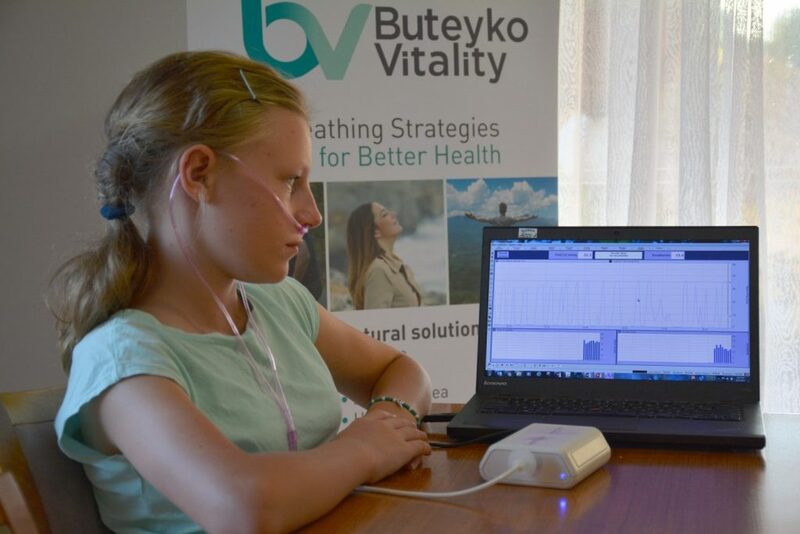 Capnography biofeedback training is offered as part of a Breathing Behaviour Learning Plan Package, which is individualised for each person based on their initial breathing assessment. A Capnotrainer is available for rental for either Skype or homework.